In some fundamental Christian circles there is great disagreement over the qualifications of pastors and deacons when it comes to marriage. This disagreement has resulted in many people misapplying the Scriptures when it comes to the calling of a pastor or deacon as well as the response by someone who believes that God has called them to the same. For this reason, what does the husband of one wife mean, as stated in Scripture teach us? Obviously, this issue is one that has even split churches in some cases. However, the principles underlying the teaching of the husband of one wife qualification can simplify the understanding of the meaning. At issue in particular, is the use of the phrases, “the husband of one wife” as found in 1 Timothy 3:2 and “the husbands of one wife” as found in 1 Timothy 3:12. Respectively the first reference refers to the qualifications of a bishop, (pastor or elder), in their marital status. The second reference refers to the qualifications of a deacon in their marital status. Some have interpreted this to mean that neither a pastor nor deacon could have more than one wife. Others have interpreted to mean that they could not have ever been divorced. For those subscribing to the multiple wives concept, Scripture teaches that leaving a spouse and marrying another does not make someone married to two people at the same time. An example of this can be seen in the account when Jesus encountered a woman at a well during his travels through Samaria in John 4:1-30. In this account, Jesus had a discussion with a Samaritan woman. Since Jews and Samaritans did not normally associate with one another, the woman thought it strange that He spoke to her since He was a Jew. In their conversation, Jesus told the woman to go get her husband and have him come there (John 4:15). The woman responded by saying that she had no husband to which, Jesus replied, “Thou hast well said, I have no husband: For thou hast had five husbands; and he whom thou now hast is not thy husband: in that saidst thou truly” (John 4:17-18). We see from this account that the woman had (past tense) five husbands previously in her life. Likewise, the man she was presently with was not her husband. Without further background, unless all of her prior husbands had died, she was no longer considered to be married to any of them and she was not currently married to the man she was with. This tells us that the quantity of current spouses cannot be the consideration when trying to understand what the husband of one wife means. This interpretation is sometimes taken from an Old Testament reference to the qualifications of a priest in Leviticus 21:1-24. In this passage of Scripture, a priest was only to marry a virgin that had never been married. The problem with using this passage is that then we must take all the other restrictions that come with law keeping for priests in the qualifications of pastors and deacons. These are things such as not shaving, being bald, not being disabled, being around dead bodies, etc. We can see how this can lead to untold requirements that were never intended (James 2:8-13). Unfortunately, people using this verse miss the context of this passage. It is not teaching anything about remarriage or that God cannot forgive someone who has committed adultery, it is teaching when a man’s wife is seduced by another man, it is something that causes a deep jealousy that creates a sense of rage that will never go away. What about the context of what is a marriage? This is where most people get hung up in their interpretation of the husband of one wife qualification. They do not have a clear opinion on marriage to begin with. Most that take a hard line interpretation will say that the marriage depends upon an official ceremony. This makes it possible for a man then to have lived with different women and even have children, but since he was never formally married, it does not count against him as it applies to him being currently officially married. Unfortunately, this ignores the truth demonstrated in 1 Corinthians 6:13-20, 1 Corinthians 7:27-28; and Genesis 29:10-28. In the passage in 1 Corinthians 6, Paul was comparing fornication to marriage. In the passage in Genesis, Jacob officially married Rachel, but spent the wedding night with Leah. When he awoke in the morning, he discovered that he was married to Leah, not Rachel. This demonstrates to us that the marriage ceremony is not what makes one married. Instead, as Paul demonstrated, it was the joining of flesh, even with a harlot (1 Corinthians 6:15-16). 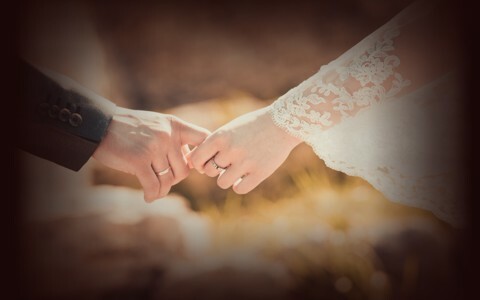 However, like baptism is to salvation, a public profession of salvation, the marriage ceremony is the public profession that the couple is entering into a one-flesh relationship that is a model of the relationship between Christ and the church (Ephesians 5:25-32). Finally, if the context of marriage as a qualification being maintained as a literal ceremony, then the qualifications can also be literally interpreted that a pastor or deacon must be married, not single, to be the husband of one wife and qualified to be a pastor. We can see how this can get quite confusing, especially when Jesus said that if a man even looks upon a woman with lust, he has committed adultery in his heart (Matthew 5:27-28). Surely adultery, via lust of the eyes, would disqualify any pastor or deacon from continuing in their office if taken to this end. So, does a pastor or deacon have to be perfect, never spotted, never divorced, or without ever lusting after a woman? The answer depends. Was the pastor or deacon divorced before salvation? Some would say that if so, he is not qualified. If that is so, then what other sins were they not cleansed of at the moment of salvation (2 Corinthians 5:17; 1 Corinthians 6:9-11)? Was he a drunk before salvation? Did he get in fights? Does he have a “wandering eye” and flirt with other women? There are many questions that can be asked, but the context can be found in the passages describing the qualifications as mentioned above. We see that they focus on who he has become in Christ since salvation. Who is the man that is called? Is he blameless? Is he true and devoted to his wife or as a believer has he divorced one wife for a new one? Is he sober? Does he have a good reputation? Can he run his own house including the children in his home? All of these paint a picture of a man that may not have been perfect in his past, but in consideration of the office of pastor or deacon. He is not a novice and can carry out his calling as an example to the flock in his behavior, his walk with the Lord, and his desire to serve the Lord. There is much confusion in Christian circles over the meaning, “The husband(s) of one wife” when it comes to the qualifications of a pastor or deacon. This is because of differing opinions on marriage, divorce, adultery, etc. The husband of one wife is a man that has not been divorced and remarried since salvation. Despite this brief study, this topic will continue to be a point of contention while we are in the flesh on this earth, but we should always weigh our opinions against the intent of this Scriptural qualification. However, the principles underlying the teaching of the husband of one wife qualification can simplify the understanding of the meaning. Where such information?